After all that the wait is finally over. Here it is, the moment you’ve all been waiting for. 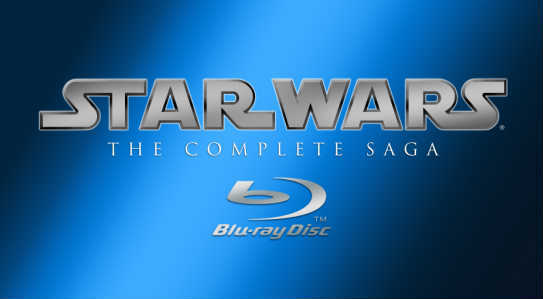 The big announcement is… (drum roll please)… Yeah, as expected, Fox Entertainment is announcing that they are now taking pre-orders for the entire Star Wars saga Blu-Ray collection, which will be released on September 16TH. 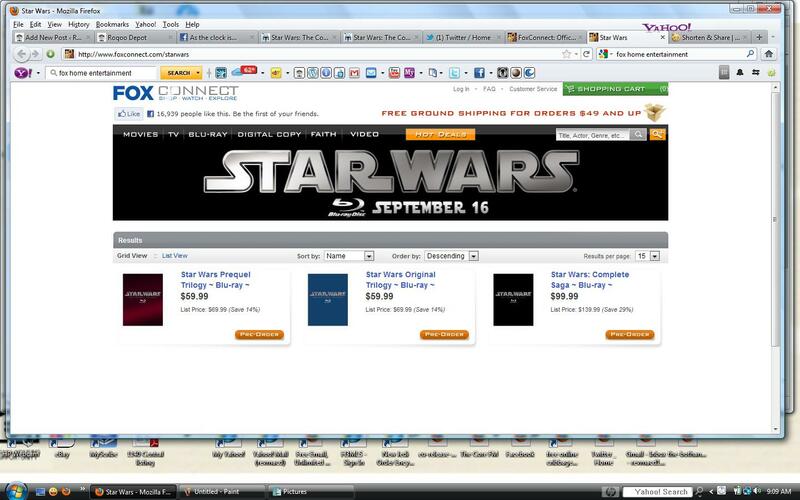 The original trilogy and prequel trilogy will be sold separately for $59.99 each or you can purchase all six movies in one collection for $99.99. A savings of twenty bucks. 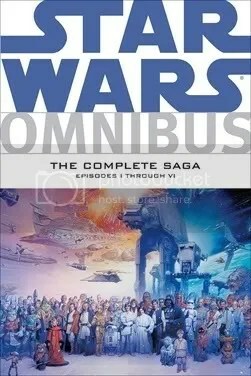 While this is not Earth shaking news, I understand from following certain people close to LucasFilms LTD. on Twitter that George Lucas himself sent these collections out already as gifts to close friends and members of the cast and crew of the movies. They all raved about how beautiful the case was and how thrilled they were with the collection. So this Star Wars Day, treat yourself to the new Blu Ray collection and May The 4TH be with you. Yeah, didn't see that coming. 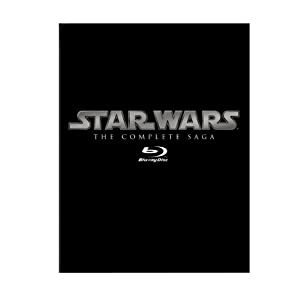 Starwars.com has posted an update on the Star Wars Complete Saga’s Blu-ray release date. It’s now September 16, 2011. You can check out the official site for all of the full release details. Don’t forget you can pre-order it on Amazon.com for $89.99 (msrp $139.99).